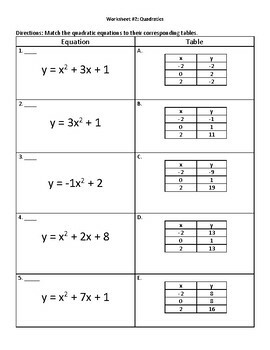 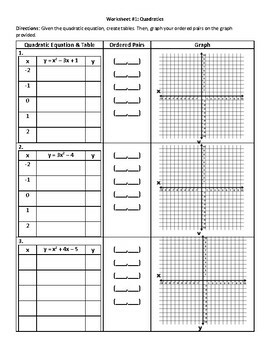 These 4 aligned worksheets provide students practice in graphing quadratics with the scaffold of creating a table. 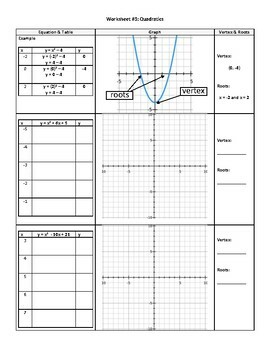 This enhances the idea of a vertex and roots as being easily identifiable in both table and graph form. 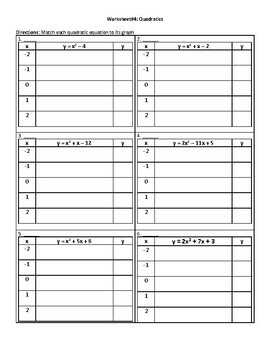 Some years I use this in one day with 4 differentiated assignments, or successively for 4 days in a row as students practice this skill.